D’Tigers’ Captain, Ike Diogu, has blamed the conflicting schedule of the FIBA international calendar for the continued absence of members of the 2015 Afrobasket winning side from the national team fold. Diogu dispelled rumours of conflicts between the players and the Nigeria Basketball Federation (NBBF) as reasons for their continued absence saying the players remain patriotic and ready to serve. As captain of the men’s senior national team, the Sichuan Blue Whales of China player confirmed that he has continued to maintain communication with the players. Diogu said the conflicting international calendar of FIBA for the qualifiers has not really helped the 2015 team who have all expressed their readiness to feature for D’Tigers. He said it will be unfair to compare him (who plays in China) with other players in the NBA and Europe with longer seasons. “The good thing with me playing in China is that I have a lot of flexibility as my season is a lot shorter than these guys playing in Europe or NBA. The player who has continued to be a regular in the team under Alex Nwora confirmed that the bulk of the 2015 set are ready to be part of the project being embarked on by the federation. He is hopeful that come September, some of the players will be around to help the team qualify for the 2019 FIBA World Cup. Lagos, Nigeria is hosting Group F which Senegal, Central Africa, Rwanda, Cote d’Ivoire and Mali between the 14th and 16th of September. Nigeria currently lead the pack with 12 points from 6 games. 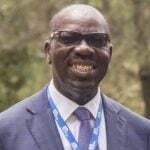 Edo State Governor, Mr Godwin Obaseki, has said the state government’s investment in education is aimed at tapping the transformative power of books and the knowledge economy to drive growth and development in the state. 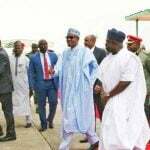 President Muhammadu Buhari on Wednesday declared open the new 500-seater Lagos Theatre in Oregun, Ikeja area of Lagos State for public use. 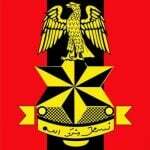 The 3 Armoured Division of the Army on Tuesday began its Inter Brigade Corporals and Below competition in Bauchi state hosted by the 33 Artillery Brigade in the state. 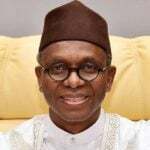 The Kaduna State Government has solicited the support of Central Bank of Nigeria, commercial banks and mobile network providers for internet data subscription to connect its newly established E-Library. 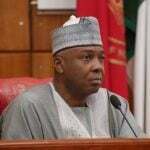 The Senate on Wednesday stood down the consideration of the 2019 budget report due to the absence of the Chairman of its Committee on Appropriation, Senator Danjuma Goje. 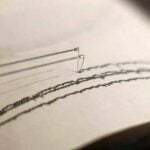 Nepal was struck by a magnitude -5.2 earthquake on Wednesday, the country’s seismological centre said, on the eve of the fourth anniversary of the major quake that killed about 9,000 people. A Director, National Library Calabar branch office, Mr Nkereuwem Etuk, says poor power supply in Calabar remains a major challenge to the function of the e-library service in the Cross River branch of the National Library. 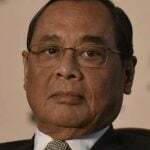 A three-judge bench of the Supreme Court hearing charges of sexual harassment against the Chief Justice of India Ranjan Gogoi on Wednesday examined evidence presented by a lawyer who claimed there was a conspiracy to frame the judge. 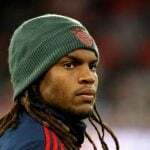 Renato Sanches could leave Bayern Munich at the end of the season, says head coach Niko Kovac.